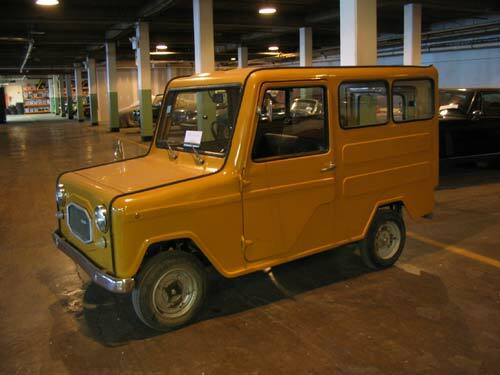 LAWIL was Italy’s primary Microcar made in the 1970s. The LAWIL sold better in France where it was called the Willam. These small cars were powered by a 125cc or 175cc Lambretta scooter motor. This car was popular in France because it could be driven by people who did not have a driver’s license. M. H. Willam was the French importer of Lambretta scooters and the name of the company, LAWIL, came from a combination of the names Lambretta and Willam. LAWIL initially built a 2-seater Microcar that was much smaller than the Fourgonette seen here. The company quickly realized a small delivery van would be very practical in many congested European cities.